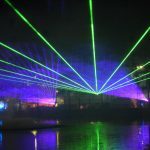 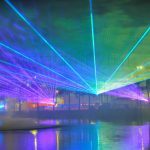 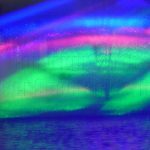 North Carolina State Fair Laser Show | Laser Spectacles, Inc. 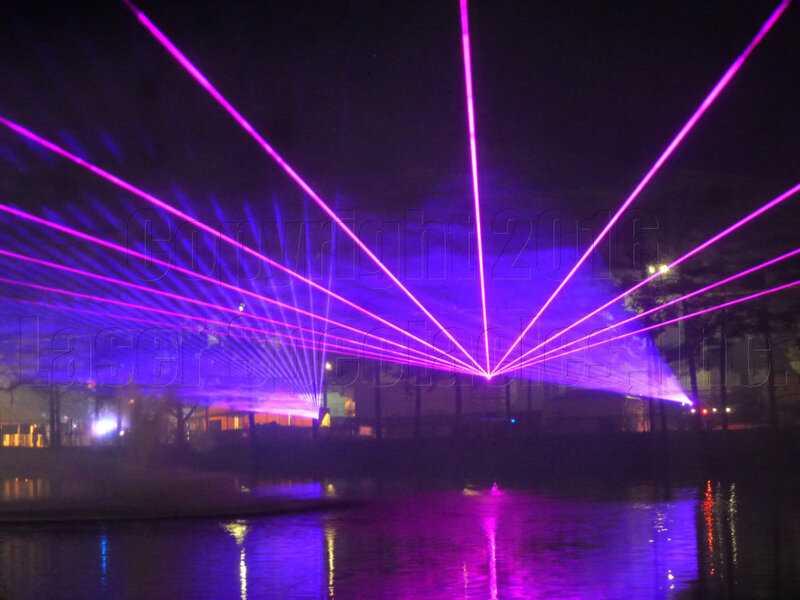 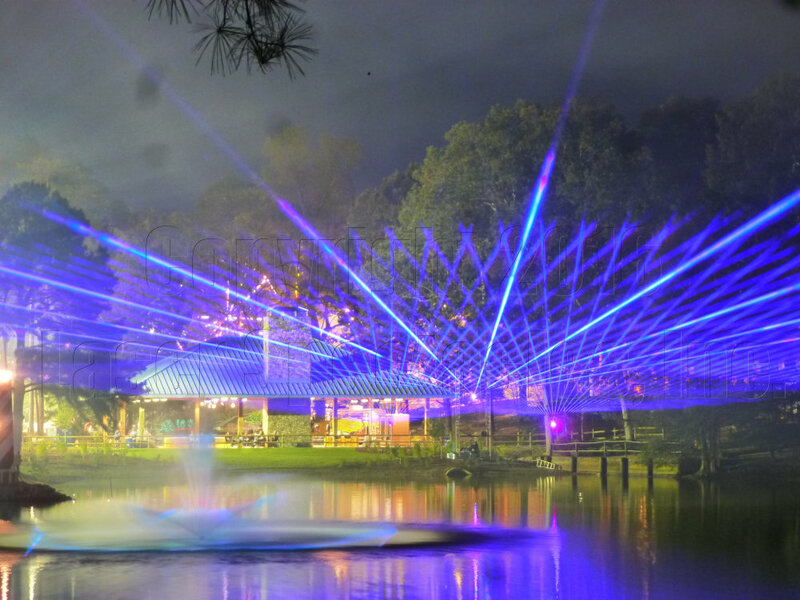 The North Carolina State Fair found Laser Spectacles when the Agricultural Commissioner decided that the lake and its fountain could use a laser light show element. 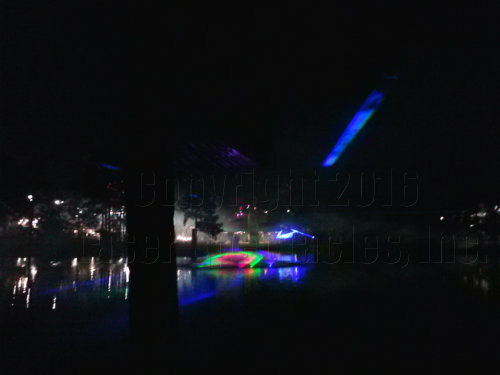 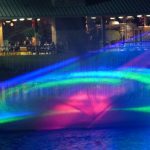 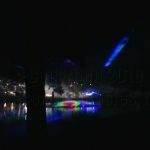 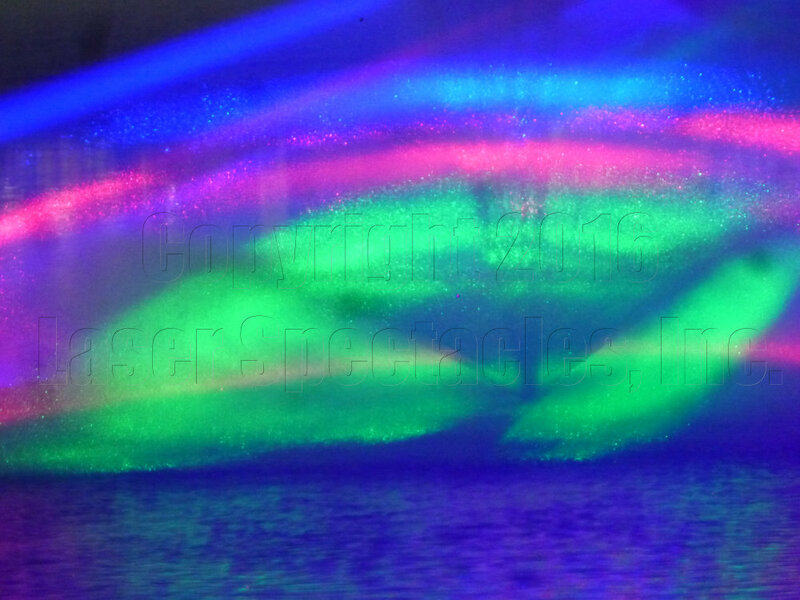 We placed a high power RGB laser on each side of the lake, and flanked each one with a smaller RGB laser to spread out the laser show. 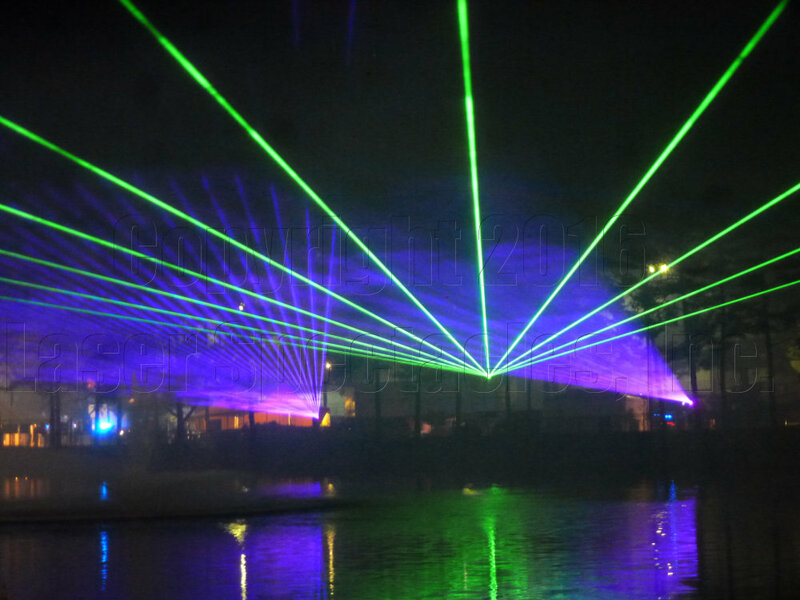 Four high output haze machines completed the setup; the haze machines could be moved as the winds dictated, so that the haze would blow through the laser beams over the lake and make them beautiful. 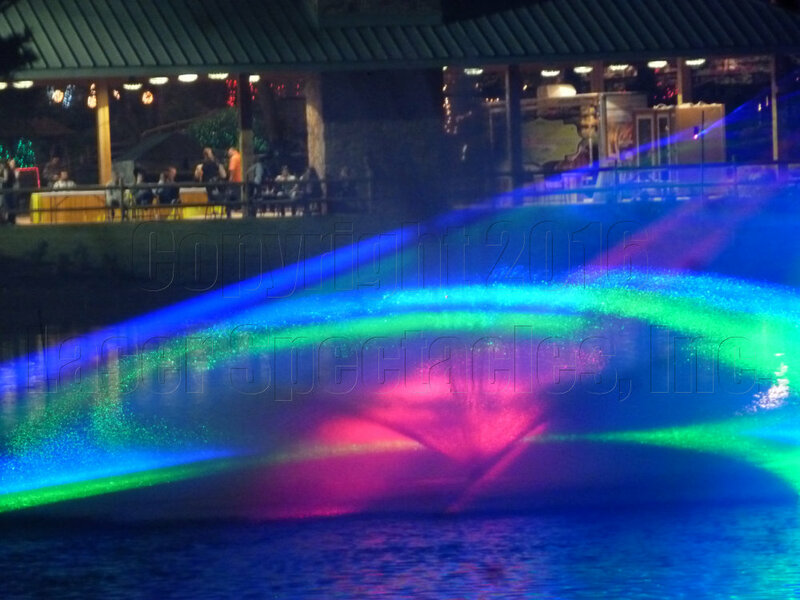 One feature that we planned to take advantage of was the small fountain in the center of the lake. 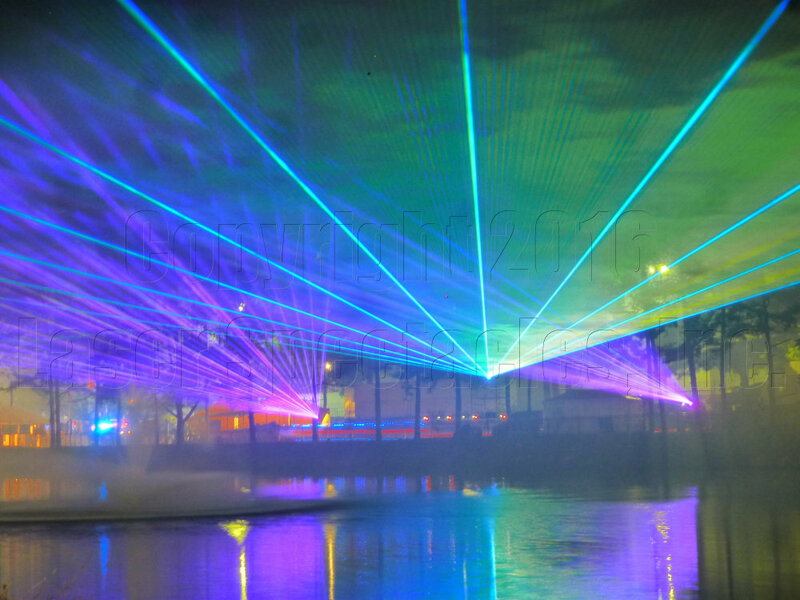 When we determined the laser placement, careful attention was given so that we could safely illuminate the fountain from both sides with laser beams at various times during the show. 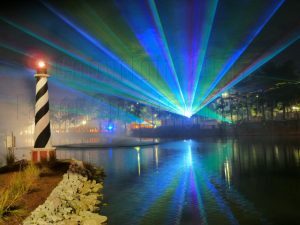 We lucked out with the weather – the State Fair began a week after Hurricane Matthew wreaked havoc on the Carolinas, but it left the fairgrounds intact. 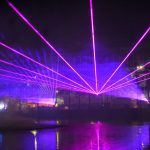 In fact, we had wonderful weather for the laser show for most nights – a calm breeze kept the haze drifting through the beams and had the show looking wonderful. The “oohs and aahs” from the attendees walking by around the lake was gratifying to hear after all of our planning and setup work.